Even if I never use the term when communicating with an editor or agent, I like to know what to call things in my head. Not that I walk around talking to myself, except when I’m working on dialogue, but it just helps me to know what something is. I knew that a book that isn’t quite one genre or another but seems to blend both was not called a crossover. No, a crossover crosses over age levels. A book that appeals to teens and tweens? Crossover. A book that both young adults and new adults want to read? Still a crossover. But that didn’t help me know what to call these two genre books. 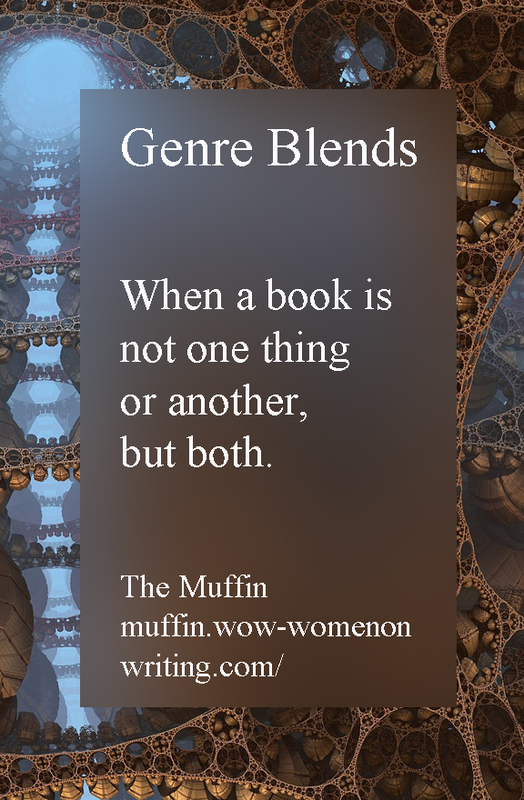 Then I stumbled across the correct term for these books that cross, or blend, genre. 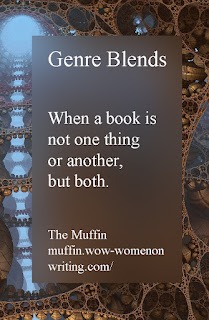 They are called genre blends or cross genre novels. Yep. I went from zero terms to two but I like genre-blend better. Although it wasn’t a term that I was familiar with, it isn’t a new idea. Some writers consider Williams Blake’s Marriage of Heaven and Hell a genre blend because it combines poetry and prose. Blake’s book was first published in 1794 so blending more than one type of book is hardly a new idea. If you aren’t a Blake fan and aren’t sure you’ve ever read a genre blend, you probably have especially if you like science fiction or fantasy. Two of my favorites are Coraline and The Grave Yard Book by Neil Gaiman. Both combine fantasy and horror. The magic is just as important as the things that go bump in the night. I also love science fantasy that blend science and magic. One of the first science fantasy series was Edgar Rice Burroughs John Carter of Mars which made its magazine debut in 1912. I also remember diving into Andre Norton’s Witch World books. Some people also consider steampunk a type of science fantasy which seems logical. I’m currently reading Gail Carriger’s Etiquette and Espionage which combines steam science and urban grit with vampires and werewolves. Another possibility is comic fantasy such as Robert Aspirin’s MythAdventures. I also remember that Piers Anthony's Xanth books as a combination humor and fantasy. I find myself wondering if you could classify Rick Riordan’s books in this genre blend. Mythic elements (Greek gods and Norse gods) run strong but the comedy is also a huge part of the draw for young readers. These aren’t all of the possible genre blends but hopefully it is enough to make you think. Could you’re your current WIP were to cross genre and could it become something more? Grumbles as she changes her query yet again... Crossover is crossed out. Multigenre? Genre blend? Races across romance and women's fiction while reeling in suspense... or sports? (rolls eyes) No wonder my grays are showing.